Kelechi is ready to show the world what he’s been working on since winning Green Label Sound: Open Call, and the original inspiration for his debut video is Ernie Barnes’ “Sugar Shack” painting, an inspiration for many others: a modified version appears on Marvin Gaye’s I Want You album, hip-hop duo Camp Lo later referenced it in the artwork of their debut album, Uptown Saturday Night, and modern lyrical laureate Lil B used it for his 2011 album I’m Gay (I’m Happy), to convey what he perceived to be the three stages of the black experience in America. Throughout its short history hip-hop has had an interesting relationship with the art world. Here are some of the most memorable occasions when hip-hop was directly inspired by great art. 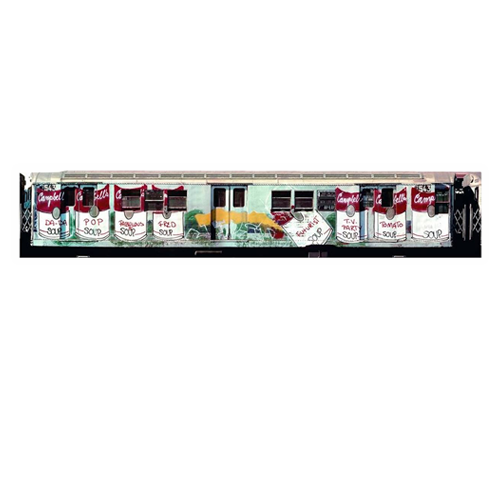 Hip-hop and art met at the very beginning, when Fab 5 Freddy channeled Andy Warhol—the artist du jour— and painted an entire subway car with stylized depictions of Campbell’s Soup cans. 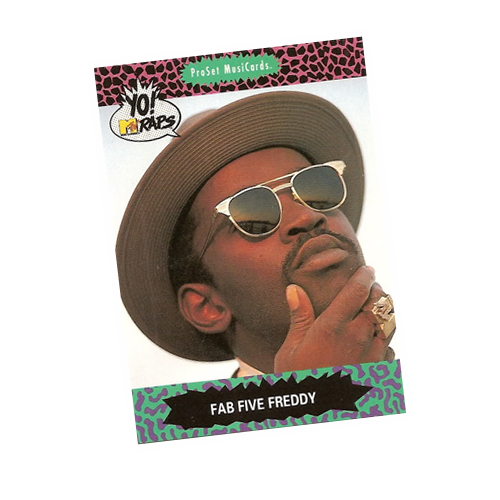 In instances predating Freddy’s full car job and the years that followed, graffiti garnered a tremendous amount of popularity and adorned the walls of downtown NYC galleries. 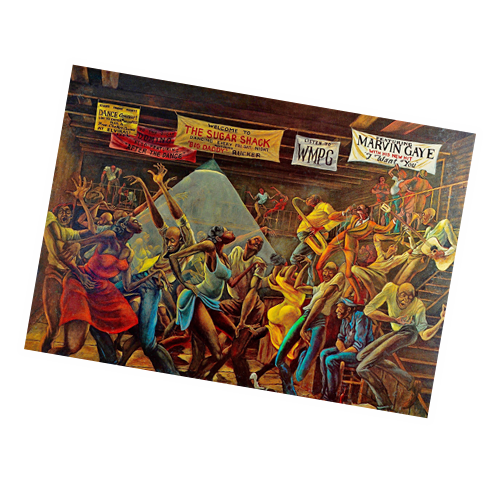 In the decades that followed, art and hip-hop continued their symbiosis in a number of ways. 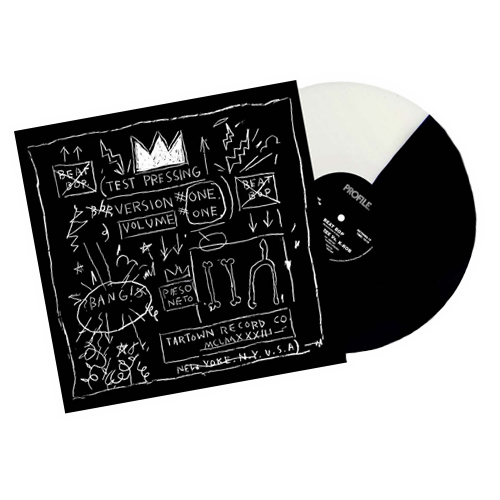 In 1983, Rammellzee and K-Rob released “Beat Bop,” a record that saw the two join forces with Jean-Michel Basquiat, K-Rob and Rammellzee handling the sonic elements while Basquiat produced the accompanying artwork. 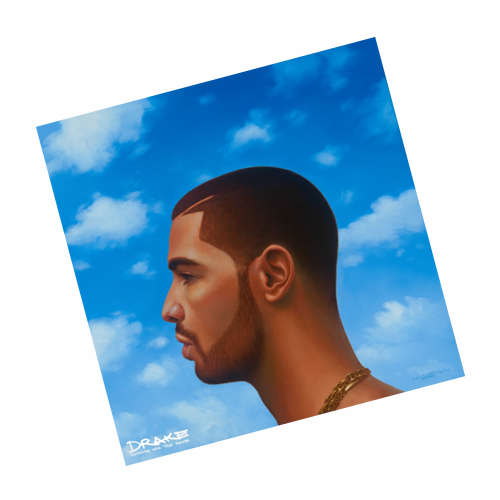 For the album art for Nothing Was the Same, Drake sought out contemporary artist Kadir Nelson, after seeing his work on the walls of the famous Marvin’s Room recording studio in Los Angeles. Drake continued his love affair with the art world by collaborating with Sotheby’s for the I Like It Like This exhibition at S|2 Gallery. 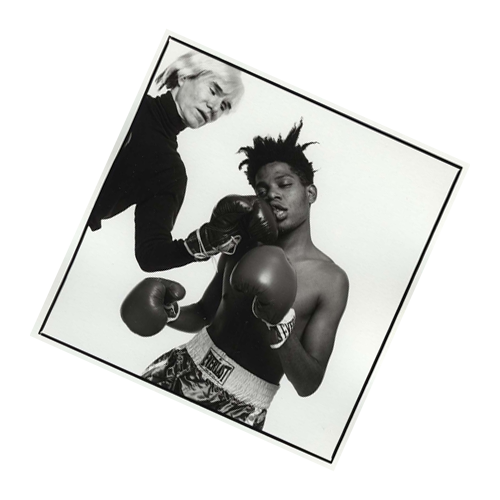 The exhibition included works from artists like Kehinde Wiley, Jean-Michel Basquiat, Mickalene Thomas, and more, paired with music selected by the crooning Canuck. 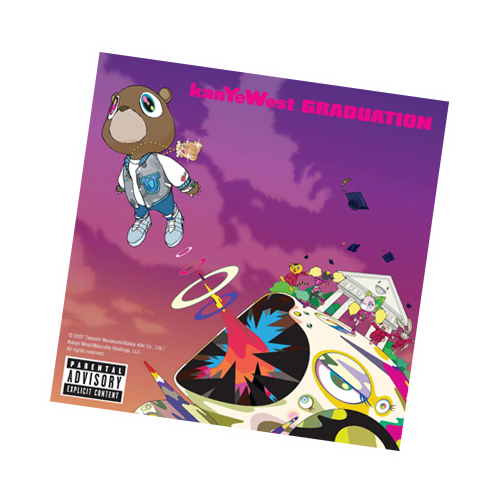 Everyone’s favorite art-school-dropout-turned rapper, Kanye West, employed the superfamous Takashi Murakami to remix College Bear for the cover of Graduation, but lately his closest artistic collaborator has been Vanessa Beecroft, the famous Italian performance artist. She is responsible for the “body paintings” that double as Ye’s fashion runway, and did the backdrop of the most-liked-picture on Instagram, of the newlyweds kissing at his 2013 wedding. 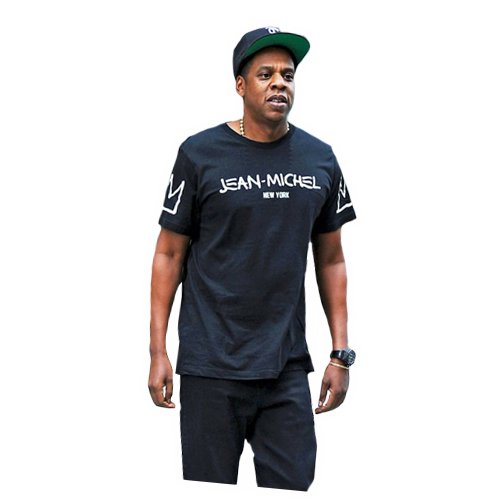 Most controversial are his collaborations with painter George Condo. 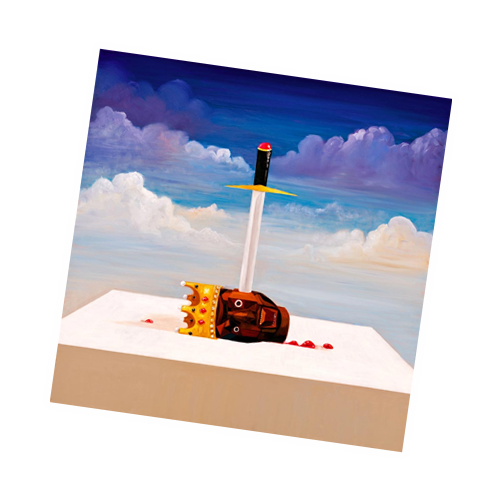 For My Beautiful Dark Twisted Fantasy, Kanye had the artist produce a number of paintings that would later be used as interchangeable album art, as well as artwork for a number of singles. 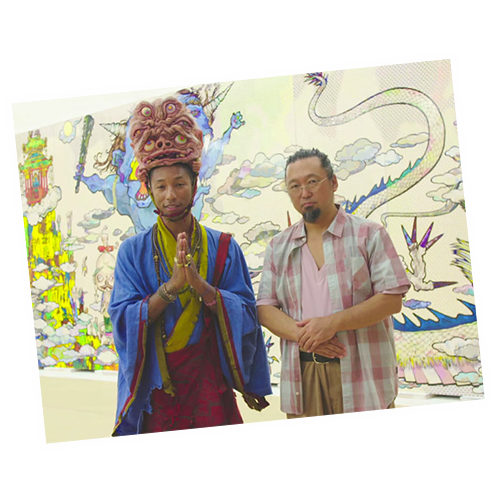 Another iconic figure in hip-hop that took a liking to the stylings of Takashi Murakami is Pharrell Williams. Together they have worked on a music video, sculpture, and more. Pharrell, through his partnership with adidas, also tapped a number of artists and architects for a collaborative collection where they each reimagined the Superstar sneaker. 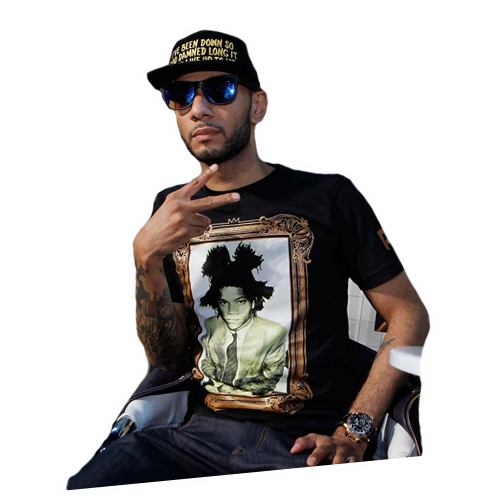 Basquiat has been a gateway to fine art for many hip-hop makers, including Swizz Beats, who began his tenure as creative director at Reebok with a string of Basquiat-themed collections. These days you can find him collaborating with YBA Damien Hirst, on the board of the Brooklyn Museum, and exhibiting his growing collection of art during Miami’s Art Basel festivities. We can’t forget to mention his plans to open his own gallery, in the near future. While not directly inspired by a specific piece of work, the sale of Wu-Tang’s latest double album, Once Upon A Time In Shaolin, was created like a one-off masterpiece, and was sold at auction for two million dollars, redefining the idea of musical albums as art. If you want to look at it that way, what ensued was something like a performance art piece involving Bill Murray, the press, and a real-life villain named Martin Shkreli.